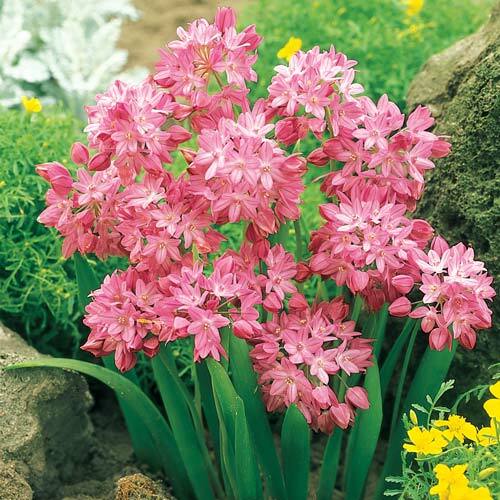 Pays a wonderful complement to other spring blooming bulbs like tulips and daffodils! 2" clusters of little rosy pink bells form spheres atop graceful, slender stems. Great for gardens prone to pests and diseases, including deer, as the Alpine Rosy Bell resists them well. Multiplies annually for even greater beauty year after year! Foliage TypeBright green, narrow strap-like. 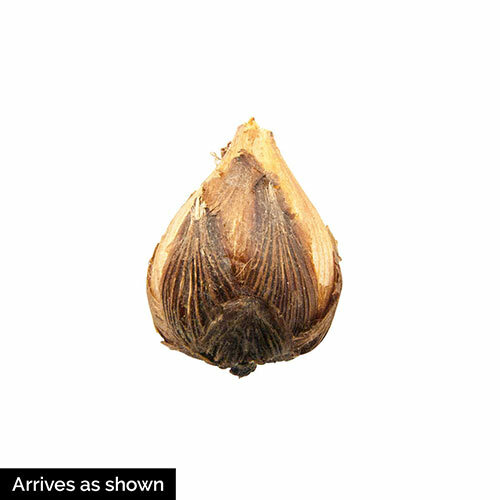 Additional InformationConsider planting with later blooming perennials as the bulbs do dormant for the rest of the growing season and they could hide the yellowing foliage of the bulbs. Planting Instructions3" deep and 2 - 3" apart.